The unique supplement company MEX responsible for the maximum growth of muscle fibers. Used in the product creatine and beta alanine gives incredible progress in the results of strength, as well as radically change the human body. 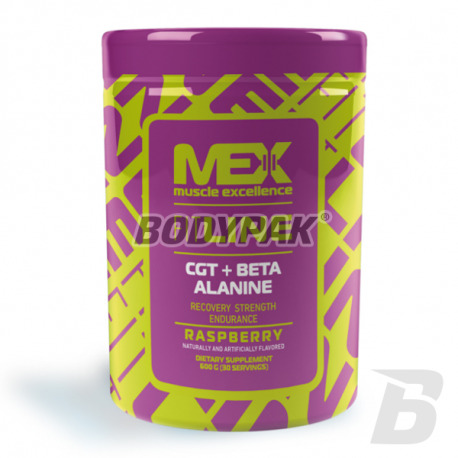 MEX CGT + Beta Alanine is a unique supplement company MEX responsible for the maximum growth of muscle fibers. The product, the use of Core-creat and Carnostim gives incredible progress in the results of strength, as well as radically change the human body. Your muscles become bigger almost by the day! And you feel the same power, which lacked before. 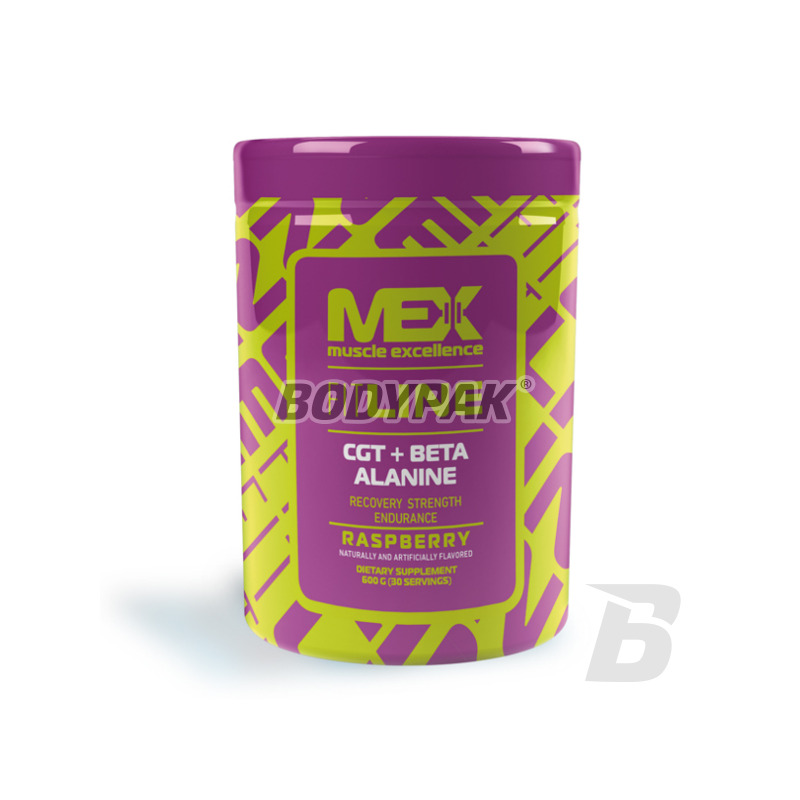 In addition, the product has been enriched with creatine monohydrate, glutamine and taurine. With these substances, you will feel what is the proper absorption of nutrients - certainly not experienced this before. Monohydrat z świetnymi dodatkami, działa świetnie, siła do góry, masa również!